I am congratulating Nigeria, Africa and the world at large on the successful election that was supposed to turn very violent. It is a proud moment for all Africans and not just Nigerians. We have proved that it is possible for Africans to conduct elections without unnecessary bloodshed. It is also instructive to note that the Western press have behaved in their true colours as they were disappointed about the conducts of our people. Africans must rise to the level that makes us act in the advanced way that eschews violence. It is also a lesson for African rulers to put the interest of their nations at heart before their selfish agenda. 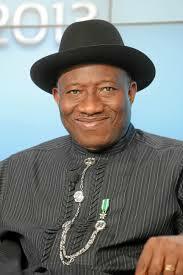 President Goodluck Jonathan has done the right and honourable thing by conceding defeat. History will remember this deed and it would serve as a good example to sit-tight African rulers and others in climes outside our continent. That said – I feel we owe the future generations a duty to set the records straight about the beatification of our dear outgoing President for this one good deed. I am not in any way discounting the extent of goodness in conceding defeat but it is a very dangerous thing to make him look like a saint for something that is expected of every loser in a democratic election. Buhari detractors are quick to bring up the issue of the 2011 elections but the fact is that the call to violence was never made by him and we have quashed the rumour that was peddled. It is now known that a PDP chieftain made the call that Nigeria will be ungovernable. President Jonathan should become the UN Secretary General in future. President Jonathan should be compared to Jesus Christ. President Jonathan is the best President Nigeria has ever had. Those statements and more have been made in the past few days and it is a reflection of the lack of values and self-esteem of our people. It is also a reflection of the effect of bad governance and the way the political ‘ruler-ship’ in Africa have treated us. I will make an illustration outside of politics to explain the reason for this state of mind that has plagued us for decades. Marriage is an institution ordained by God and he is very particular about it. But the reality is that a lot of men and women are busy destroying the great institution. This is not a man bashing post but I will use men as examples as we are supposed to be the head of the family. Several men cheat on their wives and some even physically abuse their wives. Our society has been depraved of good and real men to the extent that people will praise a man that cheats his wife discreetly, does not beat her and also provides for the house in abundance. It is sad but that is the reality. I don’t even believe that a man who has done his duties without cheating and abuse should be praised. It is his normal job! A wife must also do the same and produce the best environment for their kids. But we have a dearth of this and men who are able to do these ‘saintly’ duties become some sorts of deities. Children are now growing up in this dysfunctional mind-set that men are normally dogs. Male children have bad examples and feel that aspiring to be a good man is a tough job. Girls are made to believe that all men cheat! That is what has crept into our subconscious as citizens. We praise mediocrity when it does something just normal. That same low standard got us to this stage. We have seen attempts at colouring our opinion of Sanni Abacha; a man that terrorised us for years in the 90’s. If we are not careful, the younger ones who were young or unborn at that time might start believing that he was not the despot we know him to be. We forget things too easily. Our amnesia is a world record and we keep making the same mistakes. GEJ is not a totally flawed man. I just think that he surrounded himself with the worst set of people ever assembled by a President bar one or two individuals. How we forget all the goofs easily beats me as this is a precursor to allowing future Presidents get away with the same thing. I don’t think we should allow religious and ethnic sentiments becloud our judgement. The way he handled Boko Haram including the abducted girls was a sham. I remember the governor’s forum debacle that was pivotal to the loss of this election. The many times he looked away whilst Oduah, Diezanni and others were messing with our collective sense and sensibility. The way corruption grew at a huge rate during this tenure. The forgiveness of Alams and the welcome given to Bode George are still fresh on our minds. We also were not blind to all the schemes to ensure Buhari was painted as the devil and the many attempts at scuttling his ambition, which culminated in the postponement of the elections. I know GEJ could have been a better President if he wanted to. Or how do we explain the past 6 weeks and how he has stepped up to be the man he should have been for 6 years? He lost his chance to make history and he is to blame for it. You cannot erase more than 5 years of below par performance by 6 weeks of glowing performance. Only people without a sense of remembrance would fall for that. But obviously, GEJ knows we are mostly like that and was going to be successful at selling us a dummy. Again, we thank President GEJ for being a gracious man at this point. History will not forget this act. I only call for a caution to his great admirers who are repeating the same mistake that brought him to this level. The Abatis, Okupes, Orubebes that acted as sycophants throughout his tenure and made him believe all his policies and positions were the best. For once, let us up our standards and reflect on the fact that this man was elected by goodwill and he lost it not because of the opposition but because of the choices he made. As we head towards May 29 2015 – we expect President GEJ to work closely with President-Elect Muhammad Buhari on a seamless transition and that the fifth columnists would respect the choice of the outgoing President to hand over. Nigeria is on a march to change and to a leadership that will be accountable. We are having a president and VP that will declare their assets. It is our collective duty to make this work and not just rely on the political class. We must hold elective officers to a high standard from now. God bless Nigeria! God bless Africa. Totally correct! How do we sweep 16>19 under the carpet. Not condemning the hate-filled campaign carried out on his behalf was very glaring. It’s disheartening that people are claiming him to be a hero, nominating him for a Nobel peace prize and all that. We need to have and instill good values as a nation. All those campaigns by the national orientation agencies need to be revived. We need to be proud of Nigeria again. Hi Ayo, this is a very good read. I am not very familiar with Nigerian politics however what resonates deeply with my heart is the statement “We praise mediocrity”. This is very true. We praise people for doing exactly what they are supposed to do. A woman who looks after her children should not be held as a saint; that is what she is supposed to do. In the same light, a president who loses in an election is supposed to concede defeat and leave state house. It is the trends of African leadership that have led us to this trend of praising mediocre acts. Let us rise above this. And better still, let us teach our children to rise above this. Very well said… i dont know why our people have such short memory. Yes, we thank him for conceding defeat and buhari would have done the same considering that the peace committee were in abuja to remind both of them of their sigmed pact. And commitment to peace.. h3 has no option anyway.. yet i commemd him for that act.